McSweeney’s is so excited to launch this first-of-its-kind product! Busy consumers want great products even when they’re on the go. 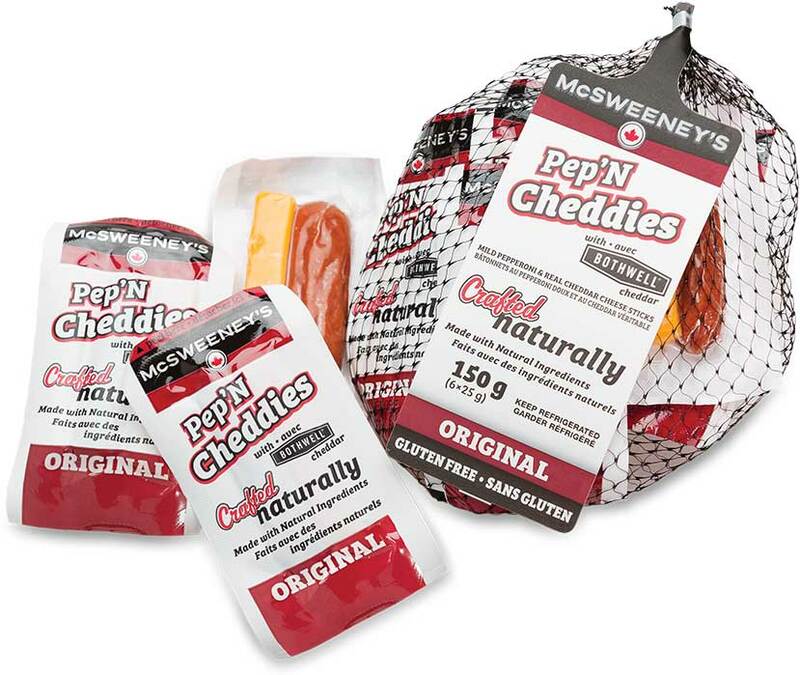 That’s why McSweeney’s Premium Jerky & Meat Snacks has introduced Pep’ N Cheddies, the first-of-its-kind GO!-portion pepperoni and cheddar cheese sticks. It’s perfect for lunch bags or backpacks. 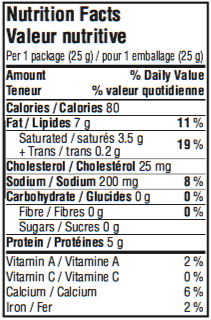 Conveniently packaged in 6 x 25g individually packaged servings, we’ve made our mild Original flavoured pepperoni with natural ingredients, and paired it with Bothwell Premium Cheddar Cheese, all to create a snack Canadian kids of all ages will love. New to market and first-of-its-kind. Made with Premium Bothwell Cheddar Cheese. Pepperoni: pork and beef, water, sea salt, vinegar, mustard, spices, garlic, cane sugar, cultured celery extract, smoke. Cheddar Cheese: pasteurized milk, bacterial enzyme, natural colour (annatto). Find it at the following participating retailers across Canada.